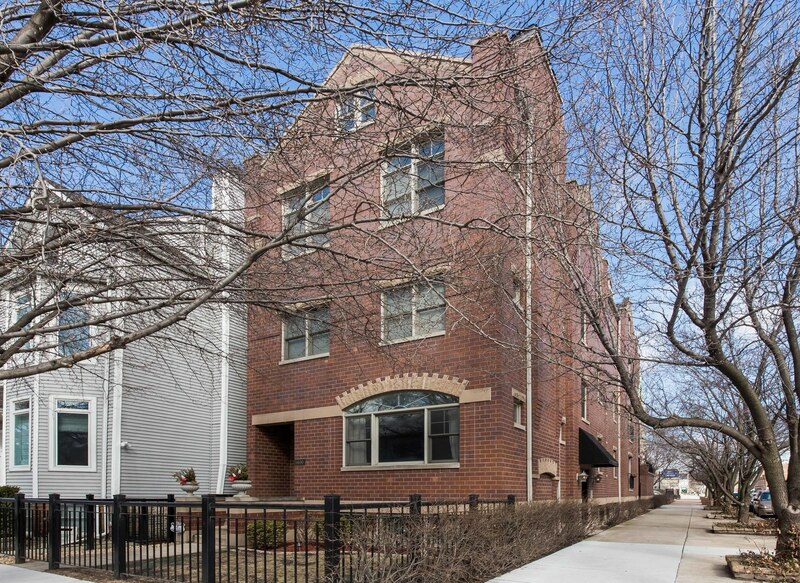 Bright, spacious, well maintained Lakeview 3 bedroom / 2 1/2 bath duplex-up penthouse condo in highly desired Burley School district. This home is flooded with natural light from all exposures with vaulted ceilings & skylights. The chef's kitchen is larger than most single-family homes! Home is very versatile! Use the room off of the kitchen for dining or den space while staying warm & cozy by the fireplace. The deck off of the kitchen is perfect for grilling. Two of the 3 bedrooms provide options for a master bedroom- the main level bedroom with two walk-in closets or a second similarly-sized bedroom upstairs. Both options have ensuite bathrooms - separate showers & whirlpool soaking tubs. Additional features include refinished hardwood floors throughout, two private outdoor decks, additional storage, ample closet space, in-unit washer & dryer, & garage parking. Steps away from several parks, Southport Corridor, dining, entertainment & public transportation. ...Welcome home! Property information last modified by seller on Tuesday, June 05, 2018, 02:15 PM CDT. Information Deemed Reliable But Not Guaranteed. Unauthorized duplication, use, or linkage is prohibited. The information on this web site is for personal, non-commercial use and may not be used for any purpose other than to identify prospective properties consumers may be interested in purchasing. Monthly Payment Calculator results are for illustrative purposes only, not a financing opportunity; calculations assume a 30-year fixed-rate mortgage and do not include closing and other costs. Property Tax on NEW properties is estimated at 1.5% of Listing Price for payment calculation purposes; actual value may be higher or lower.